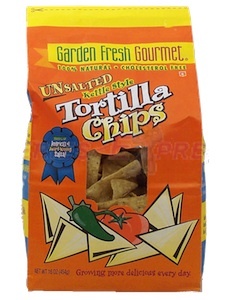 On Checkout 51’s list this week (Sept 12-18, 2013) is Garden Fresh Gourmet Tortilla Chips, Any variety. All the palate-pleasing flavor of our Garden Fresh Gourmet Original (Unsalted) Tortilla Chips, minus the salt of course. That’s because we make our unsalted chips the same painstaking way. Ancient culture never tasted so good. You will get $1.00 cashback rebate at Checkout 51. Here’s a pic of what it looks like. I found a couple prices of it at a few stores. You can find Garden Fresh Gourmet Tortilla Chips in any supermarket or grocery store. I didn’t find any Garden Fresh Gourmet Tortilla Chips coupons to use.